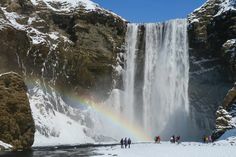 After Skogafoss, we decided to head straight to Vik to get something to eat. 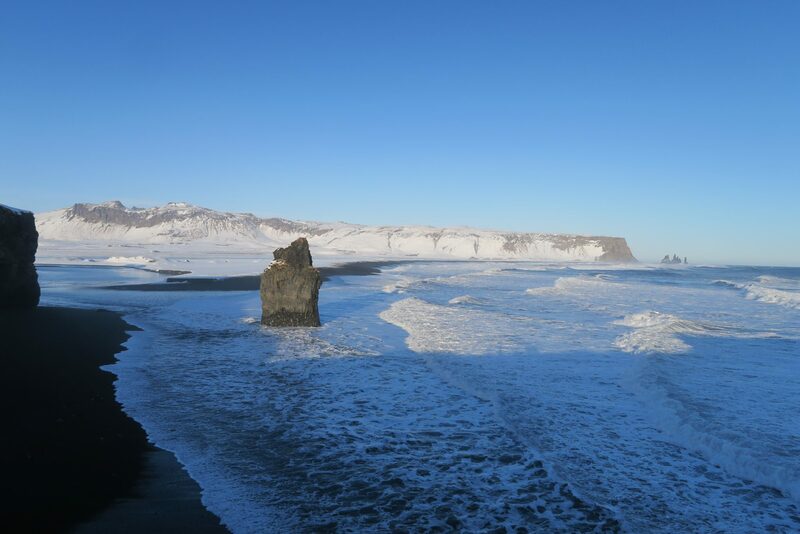 Vik is the most southerly village in Iceland. 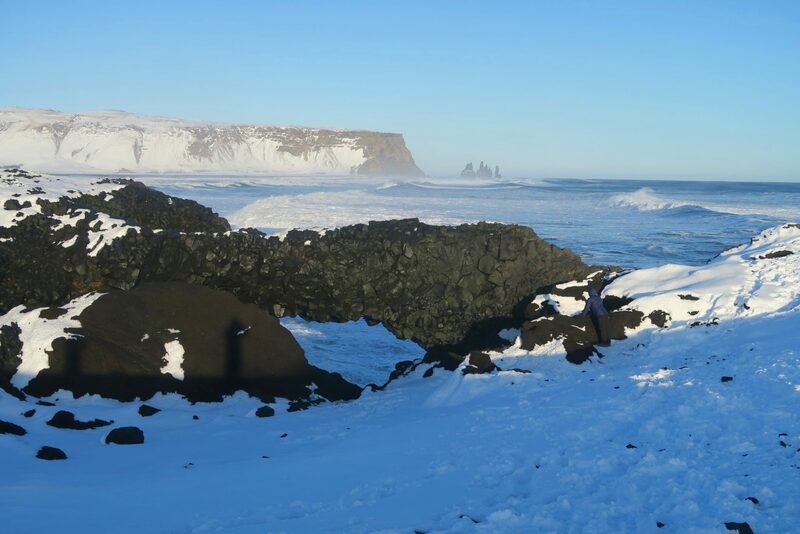 If you are wondering what Vik in Icelandic means, I am sure you can guess if I told you Keflavik means “Driftwood Bay” and Rejkyavik means “Smoky Bay”. 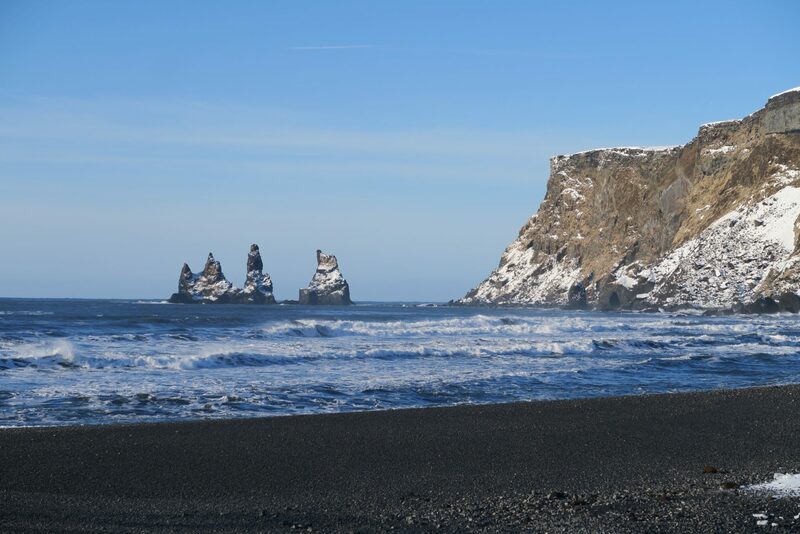 So Vik just stands for Bay although it is the only seaside settlement in Iceland without a harbour. 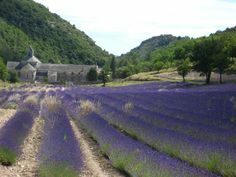 Nevertheless, its 450 inhabitants don’t have to feel shortchanged. 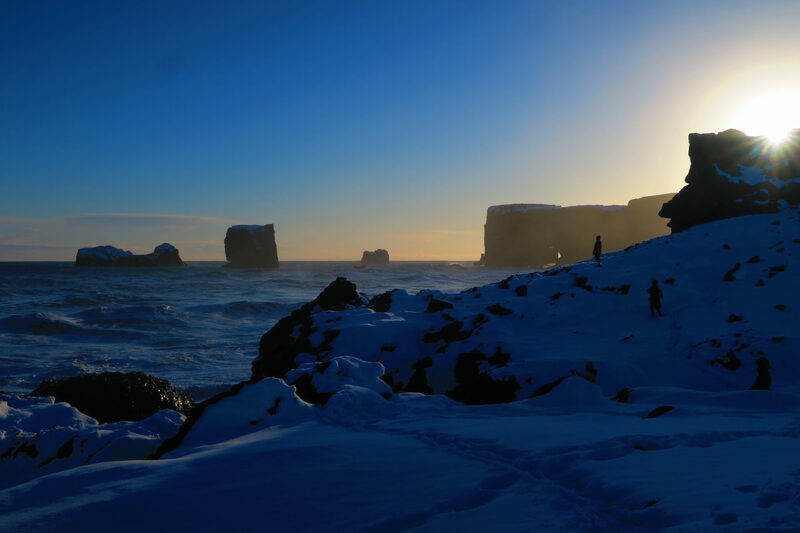 The surroundings of Vik more than makes up for it with its stark beauty. 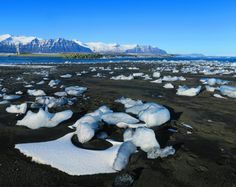 Vik also lies next to Iceland’s fourth largest glacier Mýrdalsjökull. Deep within this glacier, broods another one of Iceland’s many volcanoes. Deemed one of the most active, Katla, on average has erupted twice every century. It is expected that should one occur now, it will likely cause a flood to cover the entire village except for the church on the hill. So, apparently there are evacuation drills for when such an event might happen. And since Katla last erupted in 1918, to those who are counting . . . it is well overdue. The church in Vik where it is high enough to be safe from a flood. 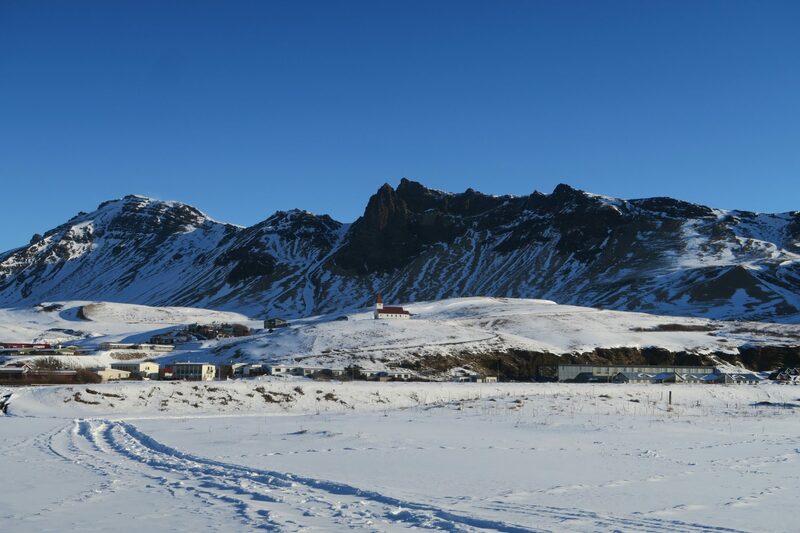 To the bottom right, the grey looking building, is icelandair hotel where we stayed for the night. Of course that was not on our minds when we arrived into Vik. The first thing we wanted to do was to look for a restaurant we had read about. You would think it will not be hard to find in a small village. We even saw the sign. But our GPS developed amnesia, as it sometimes does, and we twisted and turned through small roads and eventually back onto the main road without even a sniff. That was frustrating. In the end, to placate the hungry driver, we ended up going to another place just opposite Icelandair Hotel which was going to be our lodging for the night anyway. After checking in, we took a rest before finally heading out again as the evening started to approach. 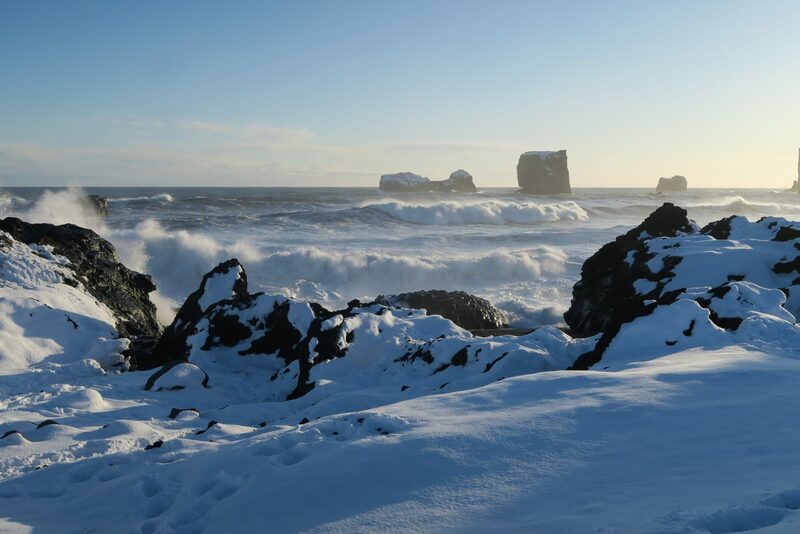 The “trolls” off the beach of Vik. This beach was just 10 minutes walk across the road from our hotel. We basically went back the way we came for a few kilometres to the turnoff for Dyrhólaey. This is Iceland’s most southerly tip and is a 120m high promontory. Although we wanted to go where the unique rock arch is found, we took a different fork in the road and ended up at a different spot. Here though we could see the entire stretch of the black beaches all the way back to the three rock pillars that lie out to sea. 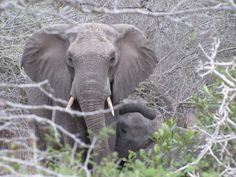 And of course, the locals have names for them. Skessudrangar, Landdrangar and Langhamrar. And the well known local folklore for them are that they are trolls who were dragging ships out to sea but were a bit slow. 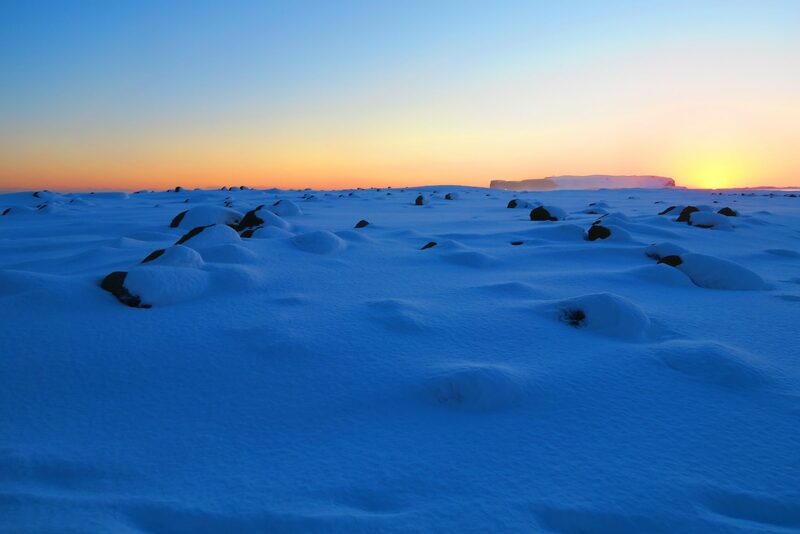 As the sun began to rise, they were turned to stone. We spent a fair bit of time here admiring the spectacular panoramic views. We were also amazed by how strong the waves were that came crashing in pounding against some of the rocks. It is not surprising to learn later that visitors have got into trouble on the beaches here in the past with even some deaths recorded. Views back towards Vik from Dyrhólaey promontory. You can just see the troll columns in the distance. We only learnt later that you can take another fork in the road to Dyrhólaey that will lead you to the rock arch formation. But with time against us and the sun starting to set, we had to be reluctantly satisfied with the view from here and start heading towards our last stop for the day. That stop was of course Reynisfjara beach. We were quite excited to be finally here as we have seen so many photos of this place from other blogs. And it really did not disappoint. 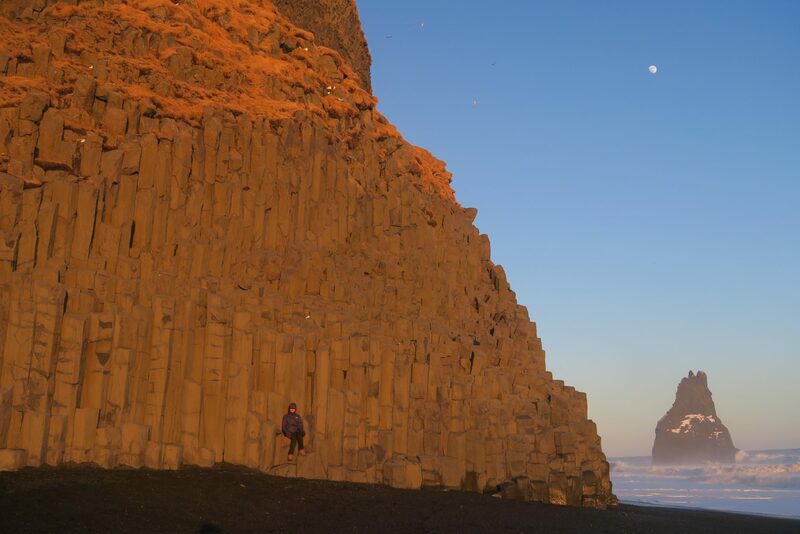 This black beach is quite a sight and with the columnar basalt cliffs, an unbelievably beautiful spot that can capture ones imagination. It is a favourite among photographers. The evening was already fast approaching as we finally made it here and with the good clear day we had, it was a perfect spot to watch the sunset. There are also caves here which one can explore but it is important to watch the waves. 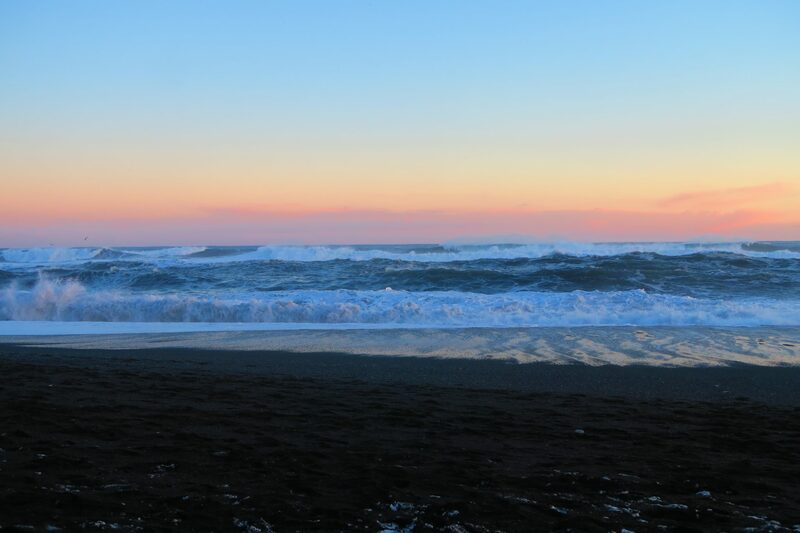 The tide was coming in when we were there and one of us actually got wet when a rogue wave came in quicker and further than we all anticipated! 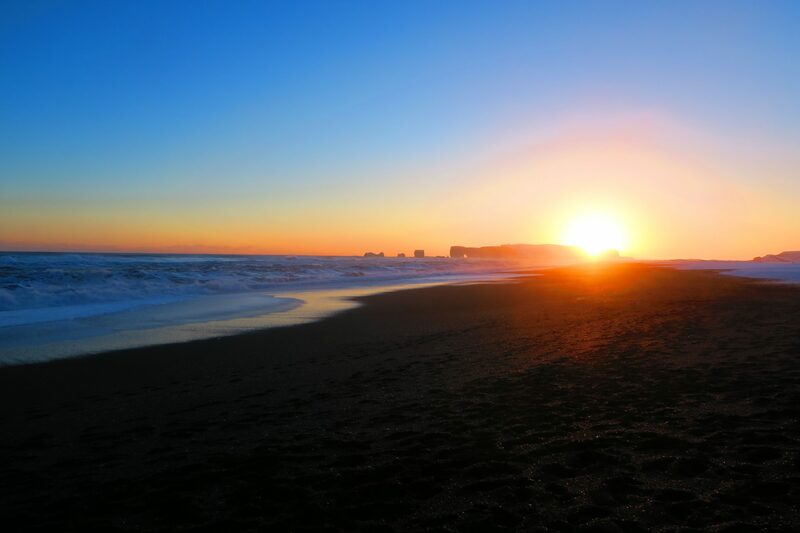 Sunset on the black beach of Reynisfjara produces some amazing colours for us. View from the carpark with snow covered rocks looking otherworldly. 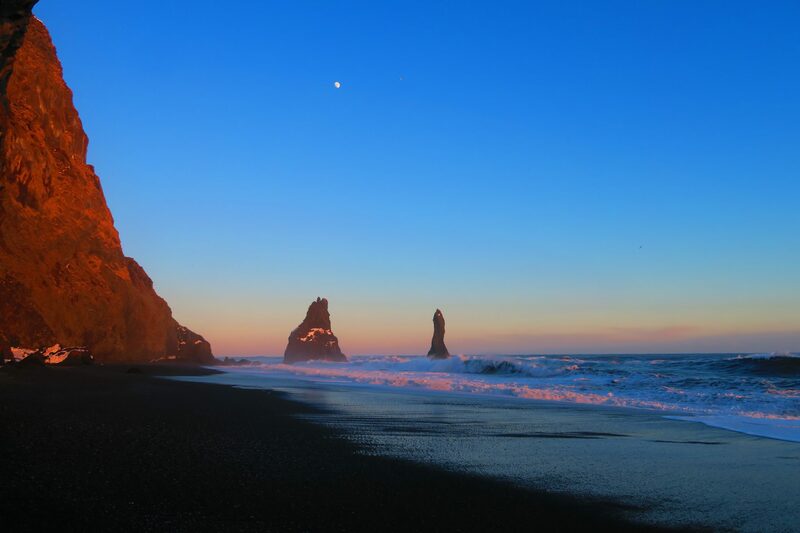 Sunset on the Vik’s black beach looking back towards Dyrhólaey. After our second day of blue skies, this was the icing on the cake, a magnificent sunset. Beautiful photos. Seems a bit lonely but does look a bit magical. Thanks. It was getting late so there weren’t as many people there. I reckon it would be different if we had been here in summer! Its not as cold as we thought it would be. Generally about minus 5 deg whilst we were there. We really enjoyed Iceland’s scenery. It is so out of this world! We are so tempted to go back in summer!